Damn society, always trying to put the safety of the many above the enjoyment of a few. That's why we can't have real Portal 2 turrets scattered about our homes, monitoring and usually protecting our valuables and loved ones. 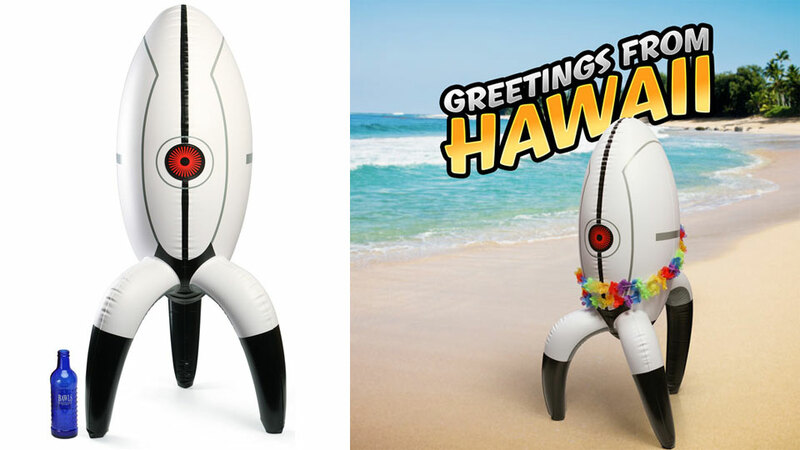 Thanks the amazing things retailer ThinkGeek we can now at least own an inflatable facsimile. Revealed during ThinkGeek's 2012 CES spectacular, the Inflatable Portal 2 Sentry Turret has all the great features of the real thing, except it doesn't talk, light up, sing, or fire off a ridiculous number of bullets. It will, however, float in a swimming pool, so take that, realism! Now how much would you pay? $US24.99? I sure hope so, because that's how much it costs. I'm sure ThinkGeek will let you pay more if your heart is set on it.